‘The Martian’: What Would It Take to Grow Food on Mars? (Spoiler alert) In the movie, when Watney (played by Matt Damon) gets stranded on Mars, he plants potatoes in a greenhouse using Martian soil and his own “metabolic waste.” And it works: He’s able to stay alive for more than a year living largely on potatoes. Martian soil is devoid of the nutrients found in Earth’s soil, and it is also fine, meaning water would likely seep through it much more quickly than it would on Earth. Using human poop or other fertilizers could provide a quick boost of nutrients, such as nitrogen, and may also change the texture of the soil so it would cling to water longer, said Sokoloff, who was a crewmember last year at the Mars Desert Research Station in Hanksville, Utah.Earthly soil gets its nitrogen from the atmosphere, though atmospheric nitrogen is in a form that is not easy for plants to use. To transform nitrogen into a better “food” for plants, bacteria “fix” it. 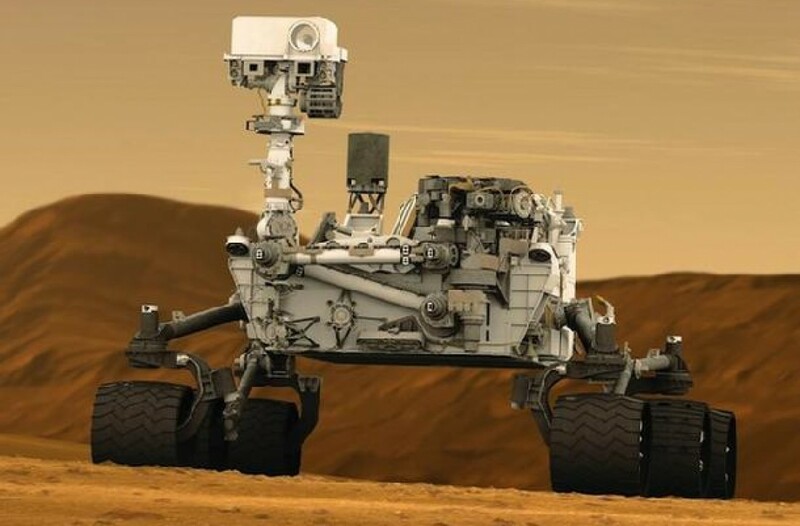 Martian soil is also laced with nasty chemicals called perchlorates, which would have to be chemically removed for plants to grow there, Sokoloff said. And then there’s gravity. Mars has about one-third the gravity of Earth. Though experiments have shown that some plants can grow relatively normally in microgravity on the International Space Station (ISS), there’s really no way to mimic the “gravity-lite” of the Red Planet. “Plants use gravity as a way of orienting themselves, so some plant species may or may not be confused,” Sokoloff said. For instance, willow seedlings taken up to the ISS grew twisted because, in microgravity, they never developed their orienting “root-shoot axis,” Sokoloff said. To determine what food ingredients to actually bring to Mars, scientists must balance trade-offs among the nutritional density of a crop, the resources required to grow them and the germination time. Scientists may be growing lettuce on the ISS as a demonstration, but “man cannot live on lettuce alone,” Sokoloff said. Before the Martian farming project gets going, humans would need to know a lot more about how plants will grow. That’s part of the reasoning behind simulations of the Martian environment, such as the Mars Desert Research Station. Scientists there have grown everything from native desert plants to barley and hops in the station’s simulated Martian soil. The soil, called Johnson Space Center Simulant I, is produced using Earthling rocks and soil based on Martian soil samples from 1970s-era Viking landers. And researchers at the University of Guelph in Canada are growing plants in low-pressure, or hypobaric chambers to mimic the thin atmosphere of Mars. The team exposes plants to a host of rough conditions — including varying levels of carbon dioxide, pressure, heat, light, nutrition and humidity — to see which plants are hardy enough to survive Martian conditions outside a self-contained, air-controlled greenhouse, The Star peported. Growing plants out in the Martian elements, and not in a temperature- and air-controlled greenhouse, would be much more challenging, Sokoloff said. And even if people decided it’s ethically acceptable to “terraform” Mars, it would be hundreds of years before the thin Martian atmosphere could be transformed into an oxygen-rich cradle for life. While the microbes were busy creating an atmosphere, solar wind would constantly be blowing that atmosphere away, because Mars lacks a magnetosphere (a magnetic field to shield the planet from solar radiation), he said. Even if people could figure out how to generate atmosphere faster than it dissipated, Martian winters can be a bone-chilling minus 207 degrees Fahrenheit (minus 133 degrees Celsius). It’s possible that people could tailor an atmosphere with greenhouse gases that trap heat, but Mars is simply farther from the sun than Earth is, so it would still likely be colder than our planet on average, Sokoloff said. Follow Tia Ghose on Twitterand Google+. Follow Live Science @livescience, Facebook & Google+. Original article on Live Science.